Learn the science behind Twitter with this free chapter. There's more to Twitter than just funny memes and articles retweeted by your friends. Twitter can be used as a powerful tool to generate new business, establish your personal brand, and much more. 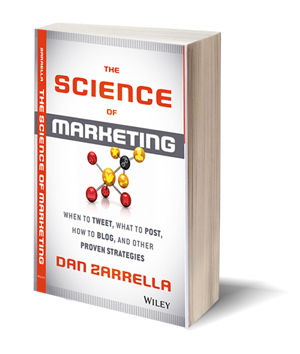 Learn how to get more out of your Twitter efforts with this free excerpt chapter on Twitter from Dan Zarrella's book The Science of Marketing. Grab your free copy by filling out the form to the right!